Once again, subscription service Scribd has changed its rules on how much content users are allowed to access. This makes at least the fourth time in the last two years that the service has changed the rules on its paying subscribers. Needless to say, if social media comments are anything to go by, a lot of subscribers have bailed on the service since 2016. In plain English, that means that if you consume too much content, Scribd can, and will, throttle you. According to Publisher’s Weekly, the company’s CEO Trip Adler, the service has mechanisms in place “to limit particularly heavy consumption by a small percentage of its subscribers.” When overuse is detected, “controls will kick in to limit power readers’ access to the most expensive and popular titles.” The service claims that even heavy users will still have access to a wide variety of content. There is no way of knowing how many books or audiobooks will be enough to kick in the controls. It is that lack of transparency about how many is too many that is a real issue when evaluating their service. How does a consumer decide between subscribing to Audible or Scribd for audiobooks if one has a concrete limit and the other is unknown? And if Scribd want’s to woo back some of those former subscribers who felt betrayed over previous changes. This is particularly true for romance reader and audiobook listeners who tend to be heavy users of content and were really upset when they found out unlimited didn’t really mean unlimited. Even though Scribd is saying that upfront now, the lack of a solid number of allowable reads will make it a hard sell for many. Can subscribers trust that the service will be able to maintain this level of use (whatever that may be) at this price point? Given Scribd’s own history and the fact that Playster (the other “unlimited” reading service) has recently deleted customers’ accounts for using too much content and raised prices and placed content limits on their subscribers, trusting a subscription service may be hard sell right now. So what do you think? Are you a former Scribd subscriber? Will this make you go back? Kobo is launching their own monthly audiobook subscription service. The service is $9.99 per month in the US and the monthly cost varies by country. 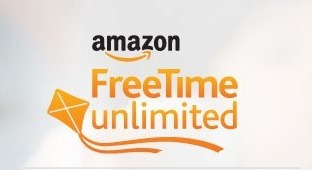 The program offers a 30 day free trial. Your first audiobook is free.and yours to keep, even if you cancel. Each month you get a credit for $9.99 monthly credit. One credit equals one audiobook. Credits are added to your account once a month on your recurring billing date. For Super Points rewards program members, you can earn Kobo Super Points with each purchase. Due to an agreement between Kobo and Apple, the Kobo App for iOS doesn’t include our store. If you use an iOS smartphone or tablet, you’ll need to purchase (or exchange a credit for) your audiobook on kobo.com. Once your transaction is complete, your audiobook will then appear in your Kobo App for iOS. Once purchased, the books are yours to keep, even if you cancel your subscription. Audiobook credits are non-refundable and a credit card is required for signup. 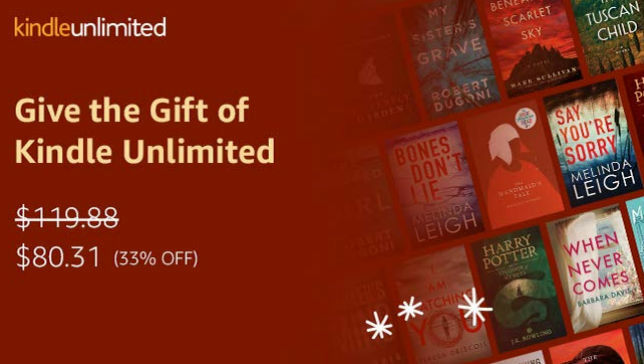 Kobo is starting its program with only one subscription plan, one credit for $9.99. According to the company, future plans include plans with two credits a month, and annual subscriptions with 12 or 24 instant credits all at once. The service will be available to Kobo customers living in Canada ($12.99 CA), the United States ($9.99 USD), the United Kingdom (£6.99), Australia ($13.99 AU), and New Zealand ($13.99 NZD). Kobo is obviously trying to compete with Audible. Audible charges $14.95 per month, plus 30% off additional purchases. The service will be live on September 12, 2017. Make sure you have updated to the latest version of the Kobo app for your device. Are you trying the service? Leave me a comment and let me know what you think! Yesterday, I posted about user claims that Playster is apparently cancelling users’ memberships because they are consuming too much content. The service is marketed as offering unlimited access to media content. There are a series of complaints, most dated over the last ten days, on sites like Trustpilot and Pissed Consumer, all claiming that their accounts were unjust flagged by the system’s fair use algorithm. These users then found their accounts cancelled or suspended. All of the members seemed to be heavy users of audiobooks. Playster’s fair use algorithm has two major goals: to deter fraud and help us keep the service unlimited for all audiobook lovers. Use of a VPN or Proxy IP. We realize some accounts may have been flagged unjustly, which is why all members were refunded their last membership charge and everyone affected was invited to submit an appeal form, so that we may address all concerns in detail with the attention they deserve. If anyone hasn’t received the appeal form or has any questions, they can email support@playster.com. Several items on the above list are troubling to me. First, flagging an account solely because of an IP address can be a recipe for disaster (please google records companies charging 80 year old great-grandmothers with infringement for details). For a variety of reasons, IP addresses are not always unique. People create accounts from workplaces or apartment buildings that share internet access. IP address alone is not sufficient reason for denying access to an account. Perhaps most troubling is the assumption that the use of a VPN or proxy IP suggests illegal actions. There are host of valid reasons to use a VPN for both privacy and security concerns. The use of a VPN should not imply illegal consumption of content. Playster’s response said that members were invited to submit an appeal form. None of the complaints I read on either Trustpilot or Pissed Consumer mentioned being offered an appeal form. In fact, several of them have commented on the lack of response and long delays in hearing from customer service. At this point, no one has said that they were able to get their account reinstated. If you have had an experience with this issue, please let me know in the comments. Are you a VPN user? Were you offered an appeal form? Was customer service’s response? Did you get your account reinstated? I will follow up on this story as more information becomes available. Yesterday, Nate from The Digital Reader reported that subscription service Scribd has removed comic books from its services. According to the article, Scribd confirmed the deletion in a statement, noting that few users had taken advantage of the comics content. They also said that they had notified comics readers via email in early December. Now, while I am not a comics reader, I am a Scribd subscriber and can testify to the fact that I certainly did not receive any notice of changes to the service. And while I hadn’t read any comics through the service, as a customer, I would have at least expected to be notified of that significant of a change to its catalog. Over the past several years, Scribd has made several adjustments to their all-you-can-read subscription service. The service removed the lion’s share of romance novels, decreased the number of audiobooks and finally went to a limited credit system with a rotating selection of free content. The sum total of these changes left many customers extremely dissatisfied. There are several aspects to this change that are particularly disturbing. First and foremost is the lack of communication on Scribd’s part. One cannot help but wonder if Scribd was hoping to slide the change in under the radar of its main bulk of subscribers. Scribd faced a huge amount of public blowback over the previous paring down of its service. 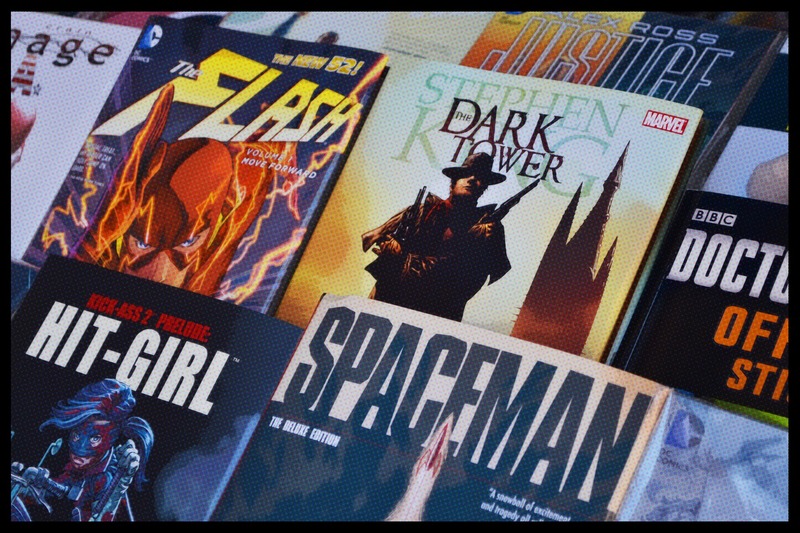 Scribd itself acknowledged that the the comics selection was underutilized. I also suspect that comics readers may be a lot like romance readers in the amount of content that they consume. They may have decided it was more beneficial to the bottom line to alienate a smaller section of their customer base to save money. I always get concerned when companies stop communicating. 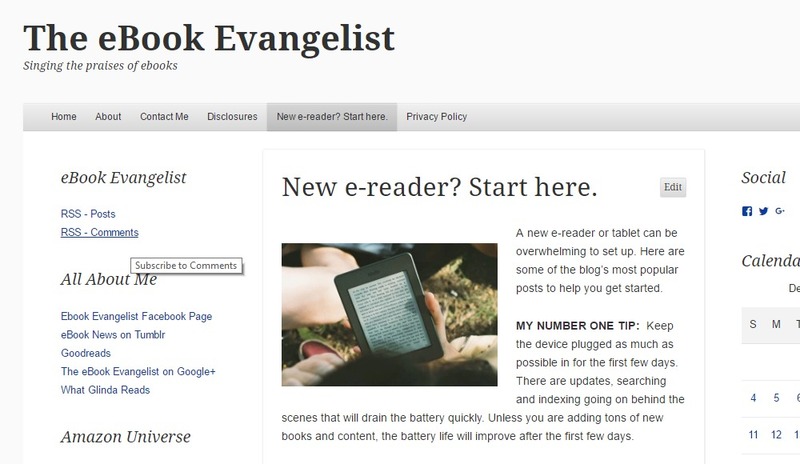 In the past, Scribd was fairly actively engaged in keeping contents updated on its blog. Currently, Scribd has two blogs. The main blog, geared towards customer announcements, is seldom updated. The other blog, called Literally, is penned by Scribd’s editors and features reviews, recommendations, quizzes, essays, and other reading related contents (and is also more frequently updated). There was no mention of the comics issue that I could find on either blog. Scribd’s actions certainly leave its comics readers in the lurch. It also raises questions about the long-term solvency of Scribd itself as a subscription service. What seems clear is that Scribd has once again decreased its offerings and is offering less content for the same price. That’s certainly a decrease in perceptive value to its customers and potential subscribers. Personally, I use Scribd predominantly for ebooks (and the occasional audiobook). Most of the books I use the service for are books that either cost more than I am willing to pay and/or are unavailable at the library. Since I also buy books, use the library and to subscribe to Kindle Unlimited, even reading one or two books on the service a month is worth the cost for me. However, the company lost a lot of trust with their customers with their previous heavy-handed changes to the catalog. Not openly communicating with their customers certainly doesn’t help that trust issue. While I am not unsubscribing (yet), I sure don’t see myself purchasing a long-term subscription at this rate. NOTE: See my article Free Digital Comics and Graphic Novels for sources of free comics.